Home / Policits / WHAT TRIGGERED MODI’S LANDSLIDE VICTORY IN 2017 ASSEMBLY POLLS? WHAT TRIGGERED MODI’S LANDSLIDE VICTORY IN 2017 ASSEMBLY POLLS? The historic landslide victory of BJP under the powerful undisputed leadership of Prime Minister Narendra Modi in the recent Assembly elections has changed the complexion of Indian Polity. The haze, behind the emergence of BJP as a major force to reckon with, clears up once we analyze the footprints of the parties that were the major contenders in this fight to assert hegemony over the largest democratic set up in the world. The major parties that had been ruling for decades have crumbled like a house of cards under the weight of their own sloppy governance, chaos, corruption and folly. The Indian voters have asserted through their mandate that they can no longer be cajoled just by antiquated decrepit election planks based on caste, religion and unfulfilled promises, rather they need solution to their long-standing grievances related to security, good governance, development, and generation of employment. The Congress, which had the major stakes in Indian Politics since Independence, saw its heydays under the strong leadership of Indira Gandhi and continued to score fairly even in Rajiv Gandhi’s regime. However, the real danger started lurking over the party after his assassination. Following the death of her husband, surfing the sympathy wave, though, Sonia Gandhi was swift enough to take over the reins of the party, the sword of her foreign roots kept dangling over her head every now and then, giving the opposition enough fodder to undermine her political authority in India. Then, started the period of puppet governance, with Manmohan Singh getting elevated to the highest post of authority sans power, with complete authority vested in Congress President Sonia Gandhi. The arrangement drew flak from all quarters, kicking off a national debate on the relevance of such a setup. The Prime Minister of any country is its pride and people look forward to him for certain qualities. The weak Manmohan Singh, despite being an erudite, failed to garner respect for himself as a Prime Minister. History is replete with examples where puppet government is followed by revolutionary changes. Rahul Gandhi, Preposterous Behaviour Has Lead Congress Onto The Path To Extinction. Despite this, the Congress continued to hold on to its position for a considerable time as people’s sentimental association with the Congress also fueled its tenure. It continued to garner support even under Rajeev Gandhi and Sonia Gandhi’s leadership as memories of the Congress’ glory were afresh amongst the masses and stories of the Gandhi’s sacrifice added fuel to the Congress fire thus keeping its burning. Sonia Gandhi was seen by most as a temporary arrangement till the time her daughter, Priyanka Gandhi, was ripe enough to take over the reins of the Congress. Hopes of Congressmen and Congress loyalists were pinned largely on Priyanka Gandhi, with many asserting that her fiery speeches and appearance bore a close resemblance to her grandmother, Indira Gandhi. It was widely speculated that Priyanka would bring back the lost glory of the Congress. 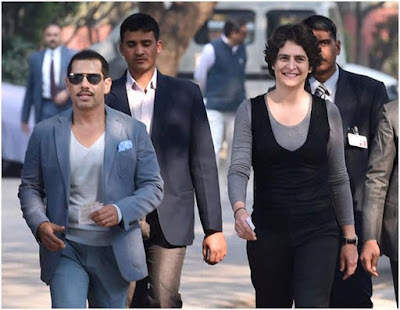 But, Priyanka Gandhi’s decision of marrying in a murky family, with news of their personal enmity leaking out every now and then, worked as a catalyst in degrading her political image. It is a self-evident truth that for a successful politician the basic constitutes a strong image building exercise. It is mandatory for them to steer clear of controversies and keep political goals ahead of personal preferences. Probably, Priyanka Gandhi’s decision of prioritizing family over politics left the Gandhis with no other option rather than to give Congress Rahul Gandhi’s face. This was a catastrophic decision that proved fatal for the Congress in the long run and initiated the process of quietly fading it into the oblivion. The dynastic rule appealed till the time powerful leaders like Jawaharlal Nehru and Indira Gandhi wielded power, but once the vacuum of capable leadership became evident, it proved suicidal for the Congress. 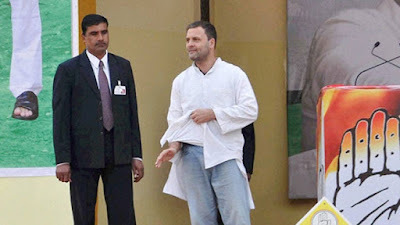 Rahul Gandhi, with poor political acumen and bad rhetoric gave a death blow to the Congress, already counting its last days in the Intensive Care Unit. Rahul is a live example, which emphasizes that politics is not linked to genes. A simple tea vendor can emerge as a great politician, while a scion of a political family can lack even in basics of Polity. Rahul Gandhi, by his preposterous behaviour has lead Congress onto the path to extinction. Can people ever believe that the royal Gandhi scion is so poor that he wears a torn kurta? Does he assume the public to be so gullible as to get caught within the web of his meaningless drivel? Or instead of pursuing some serious politics he is just fooling around with unpalatable hyperbolical speeches? He certainly got a befitting reply to his speech on torn kurta, when somebody sent him Rs 100 demand draft to sew his torn pocket! Under his leadership, even the decades old Nehru-Gandhi bastion of Amethi has been stormed by the BJP, pointing to the steadily plummeting popularity graph of the Congress. It is an open fact that Rahul Gandhi has failed miserably in leading the Congress. It is high time that Congress should move on from its dynastic rule policy and pave path for new competent leadership. The news of internal feud within the family kept on spilling every now and then and just before the elections it blew into a full-fledged battle over gaining ascendancy, with father and son falling on the opposite sides. This internal feud destroyed the party’s image in the eyes of voters. It was deemed that how a party, which had failed to keep its own house in order, could keep the state intact. Akhilesh Yadav’s greatest mistake was to undermine the political affiliations of his father, Mulayam Singh Yadav, under whose leadership the party had grown by leaps and bounds. A son’s open revolt with his father did not go well with many of older generation Mulayam loyalists who chose to reject a rebellious son. On the other hand, his decision to join hands with Congress that was already aboard a sinking ship gave the final blow to his party and his miscalculations badly retaliated upon him. Had he listened to his father Mulayam Singh’s directives of not joining forces with the Congress, he might have fared better. Experience is a vital ingredient that fuels politics and Akhilesh Yadav’s overconfidence in his youth power misfired and fell back upon him. 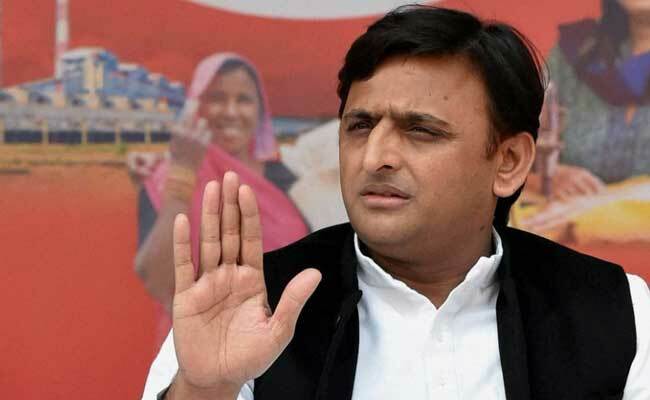 The Samajwadi party for decades has been marred by charges of bad governance, nepotism, cronyism, reneging on electoral promises along with aiding antisocial elements. This time, Modi’s rising popularity made these accusations even more glaring and the voters thought it prudent to shift loyalty. The Party that won 206 seats on its own in the 2007 Uttar Pradesh Assembly elections got a mere share of 19 seats in the 2017 polls. 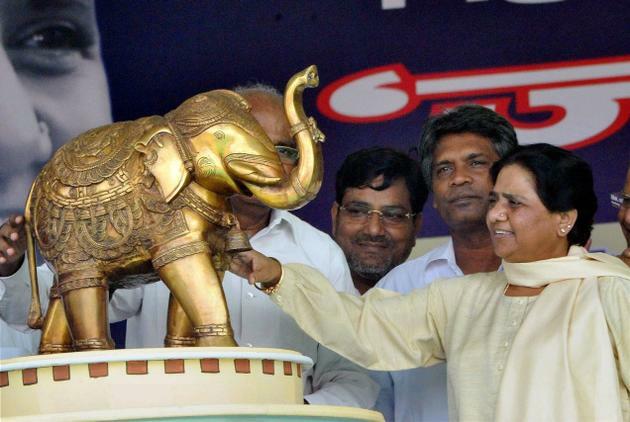 After being over-exploited for decades, Mayawati’s Dalit plank failed to work this time, sending across the message that voters’ interest in retrogressive caste-based politics had met its end. The entire regime of Mayawati witnessed the hard-earned tax payers’ money siphoning off to erect colossal statues extolling her and the party. On the development front, there is hardly anything to talk about albeit Mayawati’s grand lifestyle became talk of the town, striking awe in the hearts of many. Whereas the Congress suppressed budding talents within its rank and file to safeguard dynastic politics, BJP left enough scope for its capable leaders to rise and exhibit dynamism. While, lack of strong leadership and baseless strategies were eroding the wide base of Congress, BJP was slowly fortifying its stronghold in all states of India and inching towards making itself a formidable force for its foes to reckon with. The one man who has led BJP to an astounding victory in the 2017 Assembly elections is undisputedly PM Narendra Modi. His sharp political acumen has made him one of the world’s greatest leaders. The opponents of BJP failed to keep pace with the swift strategic moves of Prime Minister Narendra Modi and got caught within the web of their own disorder and dwindling popularity catalyzed by interest-based politics. 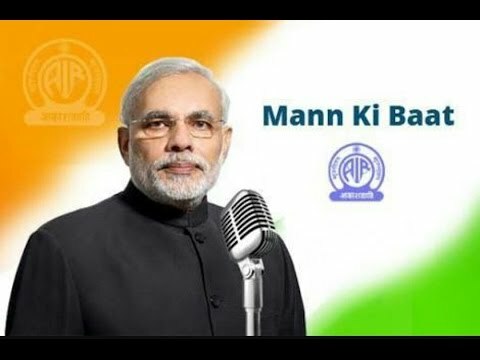 Modi’s ‘Mann Ki Baat’ is an excellent platform that catapulted him to popularity. It connected him instantly with the people especially in the tier II & III cities, where radio finds wide base. What Rahul Gandhi could not achieve even after having lunch and dinners with the rural populace, Modi accomplished sitting at a single place. His excellent rhetoric skills instantly struck a chord with the people. 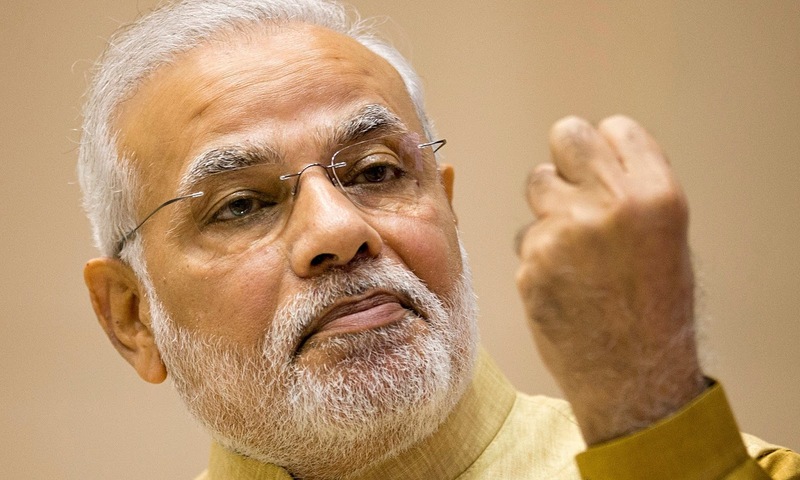 Modi’s frequent jibes at his opponents silently reduced them to mere ridiculous figures and callow opposition leaders like Rahul Gandhi and Arvind Kejriwal by their repeated immature statements and unsubstantiated allegations prove him right. Allegation, even if it comprises truth should be corroborated with sufficient proof before it is made public, otherwise it loses significant and is hardly heeded to. The demonetization was also a political tool that Modi deployed to paralyze his opponents. He chose the right time, just before the elections, to implement the demonetization policy in order to cripple his opponents, who remain in hibernation for the entire period of their tenure and wake just before the elections to plan strategies to gain voters through unlimited money power. Modi’s prodigious political expertise is his forte that led to BJP’s landslide victory in the 2017 Assembly polls. BJP’s triumph is a gentle prelude to the bigger waters that lie ahead. To resurge, the opposition needs to bring their houses back in order and plan strategically as the current political situation spells out more difficult terrain ahead for them.